Laidlaw Auctioneers and Valuers have an established reputation for turning up the extraordinary, and their Fine & Esoteric auction on Saturday 14th April was no exception. Included in the sale was a mysterious metal and glass wall light - with impressive provenance. 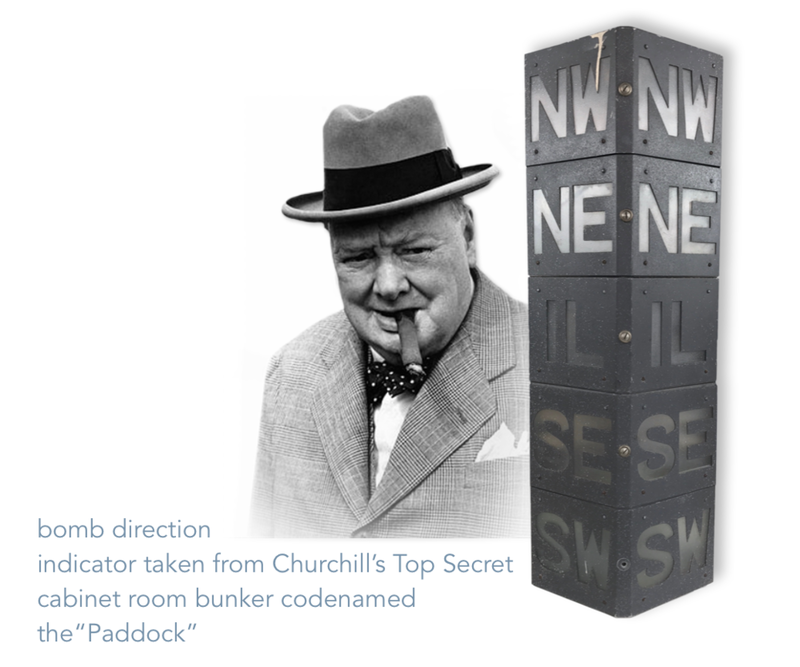 Taken from Sir Winston Churchill’s Top Secret underground cabinet war room codenamed the “Paddock”. The bunker was located at Dollis Hill, and concealed beneath a corner of the Post Office Research Station in true espionage fashion. The light in question is a ‘bomb direction indicator’, and it would illuminate in order to illustrate the direction of the attacks happening above ground. Soberly, the ‘IL’ indicating a direct hit to ‘inner London’. The light was salvaged during the 1980s when the abandoned bunker, having suffered years of neglect and water ingress, was finally dismantled. The indicator sold at auction for £1,200. Another military lot which captured the hearts of auction bidders both online and in the room was an extensive campaign and service medal group ranging from pre-War to Korea, awarded to Pte / Cpl J Sloan of the Argyll and Sutherland Highlanders. The medals had been discovered hidden in an old biscuit tin and were mere moments away from being disregarded as landfill. The £300-£500 auction estimate was quickly surpassed in the week leading up to the sale, as Laidlaw’s online catalogue enables live-bidding to take place before the auction has begun. Online bidders battled against each other to raise the lot to £1,300 by Friday, but it was two telephone bidders on the day which took the final price to £2,600. “The online bidders are notified each time they are outbid” says auctioneer Paul Laidlaw “it has the great effect of pushing the bidders that bit further, no-one wants to loose out - and so the cycle repeats.” Other military lots which achieved high prices on Saturday included a converted Imperial Russian 1854 rifle which sold for £1,800, and a Victorian 74th Highlanders silver plaid brooch which sold for £880. Laidlaw Auctioneers & Valuers hold monthly Collectors' and Interiors auctions, and quarterly Fine and Esoteric auctions.